Successfully Added HD Projector 1080P LED Mini Projector 3000 Lumens Portable Home Theater Video Projector AU Plug to your Shopping Cart. 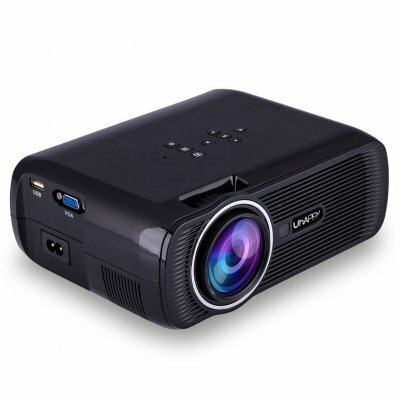 Brighter than other LED projectors, can provide crystal clear image in dark.NOT RECOMMEND for PPT or business presentation. Multimedia interface, equipped with HDMI port, USB port, AV/TV port, SD card slot and 3.5mm audio jack. Long Lasting Lamp Lives with extended lamp life of an impressive 20000 hours. Sleek & stylish design, small and compact, convenient to use at home or courtyard.